Author James F. Lee joins Paul and Elizabeth to discuss his book on a little-known chapter in the history of Pearl Harbor. 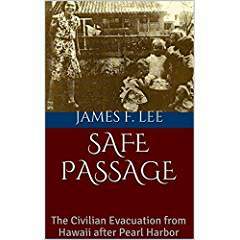 In Safe Passage: The Civilian Evacuation from Hawaii after Pearl Harbor, he chronicles in detail the story of how thousands of dependents of those serving in the Hawaiian Islands were evacuated to the mainland and a safe haven after the attack on December 7, 1941. The book is available at Amazon in paperback and Kindle. 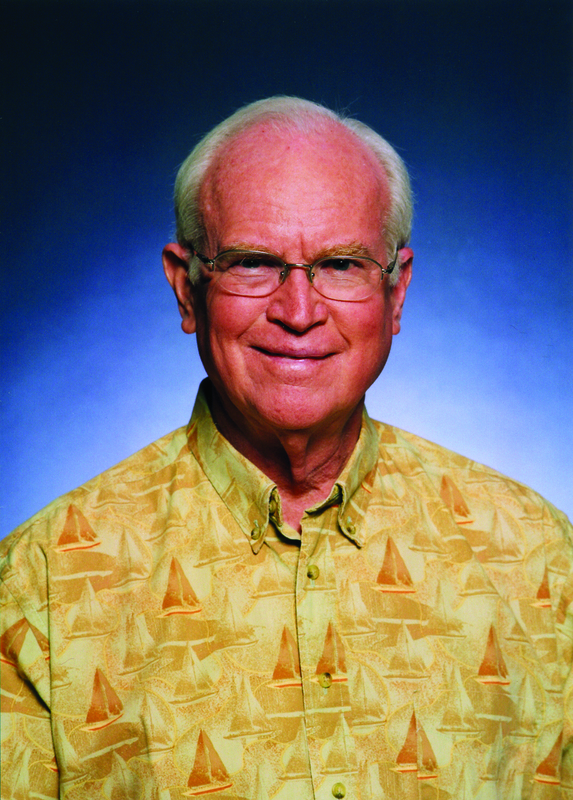 Dr. Richard Kelley joins Paul and Elizabeth to talk about how it all began in Hawaii and how Outrigger Hotels and Resorts has grown to be an international company that is still family owned. It’s a story of hard work and some remarkable instances of good fortune. The Kelley’s early on grasped the concept of providing comfortable, affordable lodging in Hawaii and that still carries through today. 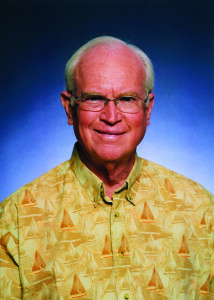 Dr. Kelley provides insight into what makes for a successful family run operation and why Outrigger offers great value. 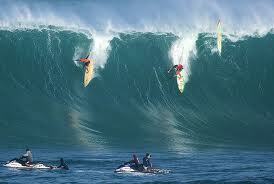 Perhaps the most famous big wave surfer ever, Eddie Aikau was a legend in Hawaii. He perished at sea trying to save shipmates on a great sailing canoe, but his legend lives on whenever the giant waves arrive on the North Shore of Hawaii. Today his brother keeps the memory alive in the Eddie Aikau Restaurant and Surf Museum on Hawai’i Island. Paul and Elizabeth chat with Soloman Aikau about the new restaurant and about the legend of Eddie Aikau. If you’re expecting rides, shows and attractions from Disney’s Aulani Resort in Hawaii, you may be in for a disappointment. But it still provides for a memorable family Hawaiian holiday. 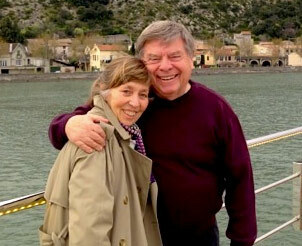 Travel Correspondent Norm Wilkens talks with Paul and Elizabeth in San Antonio about multi-generational travel. This is a growing trend in the travel business and cruises especially have benefited from the boom in several genrations of a family traveling together. Norm discusses the trend and provides some insights into why its growing so fast. 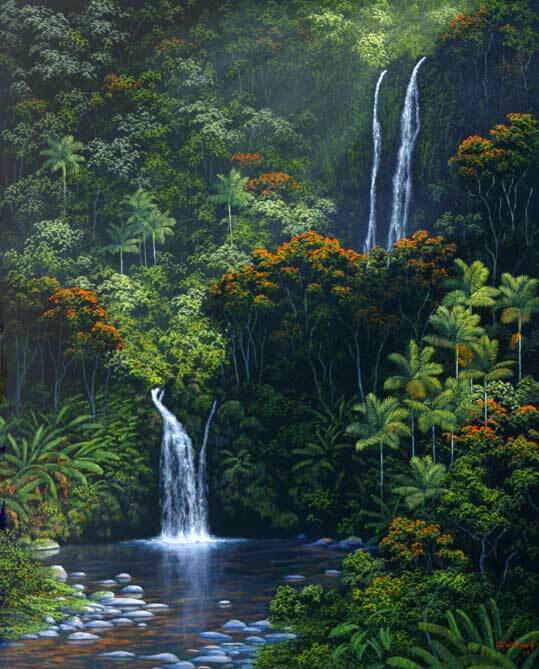 The botanical gardens of Hamakua are pure paradise. Mount Kilauea isn’t the only destination to see on the Big Island. The World Botanical Gardens of Hamakua are quite the site to see. With dreams of summer, it’s never too late to plan a Hawaiian Vacation. 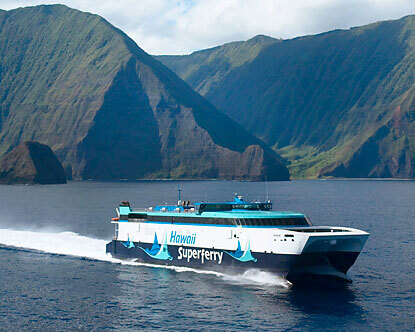 But island hopping by ferry is an interesting way to do it. Hawaii has some of the most beautiful courses in the world, see them in "The Golf Fanatics Guide to Hawaii"
The Golf Fanatics Guide to Hawaii by Bryan Fryklund, gives readers a taste of the most beautiful courses in the world. It’s a great book for traveling and playing. Ohana Hotels and Resorts has a great room and meal deal if you’re travelling to Hawaii this fall. Elizabeth has the details. Inter-island travel around Hawaii can be enjoyed wtihout flying thanks to the Hawaii Superferry. Military members get a great buy one get one deal.